One of the great things about cannabis is the variety of different ways which you can enjoy it. Here are our favorites! Cannabis could be one of the most versatile plants on the planet. Both for its effects and the different ways which people can enjoy it. While smoking cannabis may have been one of the most common ways in which people enjoy it, there are also some exciting new ways which people around the world are enjoying this amazing plant. There are a lot of different schools of thought when it comes to the effectiveness of smoking cannabis. While it may have been the ‘go to’ method for many people to enjoy cannabis in the past, there are a lot more choices available now. The delivery method is often as simple as a personal preference, but there are also some health implications which you may want to consider. 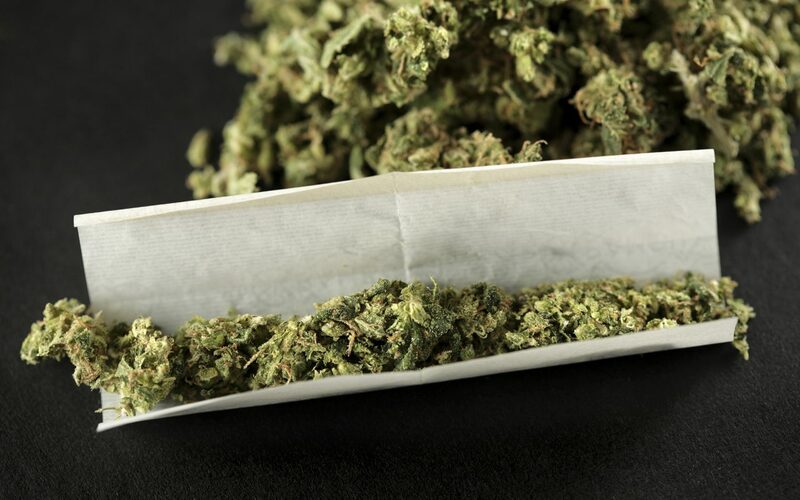 Joint or Spliff – Whatever you know it as, rolling cannabis into paper and lighting it has been and still is a very popular way for many people to enjoy cannabis. Smoking cannabis in a joint is still a very convenient and social way to enjoy marijuana, especially when you have a group of people. Pros – Joints are easy to measure, convenient, portable, disposable, strong high, great for social occasions, and no cleaning required. Cons – Not great for people with respiratory conditions, not pure marijuana because of the papers, strong smoke smell, not always easy to roll, because of the marijuana being burned not the healthiest option. Blunt – Very similar to a joint but instead of using rolling papers a blunt uses cigar paper or tobacco leaf. Much the same as a joint, blunts can be a great social way to enjoy marijuana with a group of friends. Pros – Blunts are easy to measure, convenient, portable, disposable, strong high, great for social occasions, and no cleaning required. Cons – Not great for people with respiratory conditions, often contain tobacco, strong smoke smell, not always easy to roll, because of the marijuana being burned not the healthiest option. The Pipe – There are thousands of different pipes available. There are hundreds of different designs and shapes, they can be made from glass, wood, metal, and plastic, but they essentially all function in the same way. Pros – One of the easiest and quickest ways to smoke cannabis, portable, no waste, less odor on clothes and fingers, easy to clean and strong hits. Cons – They can be harsh, can become quite hot, fragile, requires cleaning, and may smell if left in a bag. The Bong or Water Pipe – A bong is like a pipe, but instead of directly inhaling the smoke it passes through water before being inhaled. It offers a cooler hit as the smoke is filtered as it passes through the water. Pros – Can be quite collectible, smoother than a pipe or joint, cleaner smoke, bigger hits, fast high, no waste, and easy to use. Cons – Not very portable, fragile, water can spill, expensive to purchase, and won’t work if broken. The Vaporizer – One of the newest ways to enjoy cannabis, vaporizers don’t burn the marijuana instead they heat it to a point where the cannabinoids are turned into a vapor. This way you get all the good stuff like CBD and THC, without any of the tar or smoke. Pros – Healthiest way to enjoy cannabis, no waste, strong and fast high, less odor, portable, and discreet. Cons – Expensive start out price, involves learning how to vape, frequent cleaning, and relies on batteries or power.